Dry January. FebFast. Dry July. Ocsober. The growing number of booze-free months is enough to drive you to drink. But those who are going a month without hooch, who are pregnant or breastfeeding, on a health jag or who just want an alcohol-free day need something more exciting than soda with a splash of lime cordial and bitters to last the distance. Here are some big-flavoured mocktails from Melbourne restaurants you can enjoy without mockery. Bang Bang at the Rifle Club's Bang Bang Mary is similar to the classic Bloody Mary but instead of flavouring the tomato juice with the traditional lemon, Tabasco and Worcestershire sauce, it gets a spicy, salty, zesty kick from house-made nam jim – a combination of lime, green chilli, fish sauce and coriander root. It's garnished with a piece of lightly bruised curry leaf, which has a beautiful aroma. The result is a light and refreshing drink that isn't as heavy as the original. 1. Rim a large tumbler bodega with chilli salt and fill with ice. 2. 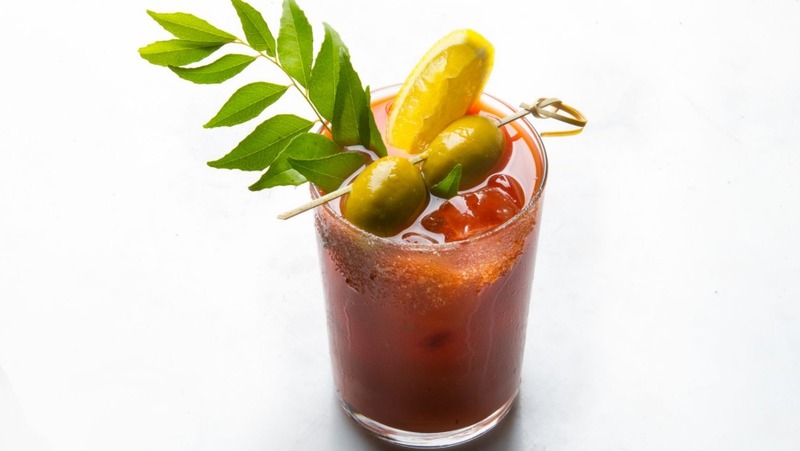 Pour tomato juice, lemon juice, nam jim and Hellman's Fire bitters into a shaker (if you like it extra spicy, add crushed chillies too). Slowly shake together and then pour into tumbler. 3. Garnish with 2 olives, a lemon wheel and a curry leaf. 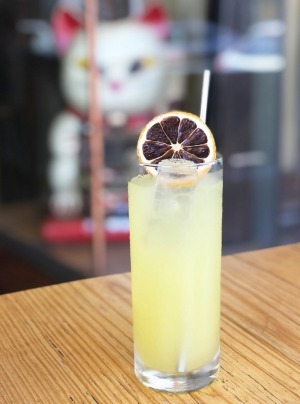 Tokyo Tina's mocktail combines honey water with yuzu and cucumber juice for the perfect balance of sweet and sour. To make the cucumber juice, put half a peeled cucumber through a juicer. Honey water is a mixture of water and honey to taste. You'll want to be toasting with this lighter beverage all day and night. 1. Add the yuzu juice, cucumber juice, and honey water into a cocktail shaker and stir. 2. Add enough ice to fill a tall glass and then pour the mixture from the cocktail shaker over the ice and top up with Capi yuzu soda. 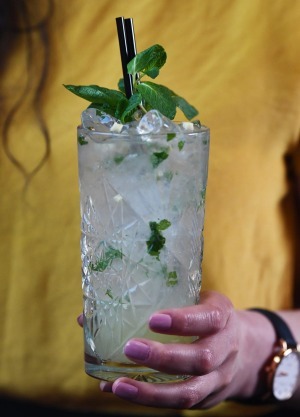 MPD Steak Kitchen's ginger mojito packs a punch with ginger rather than vodka. Flavours of ginger, lime and mint will hit the spot for those detoxing from a season of heavy drinking, along with providing the perfect way to cool down in the summer heat. 1. Dice ginger and gently muddle half of it in the shaker to release aroma (use the end of a wooden spoon if you don't have a muddling stick). Set aside the remaining ginger to garnish the drink later. 2. Add mint leaves, ginger puree and fresh lime juice to cocktail shaker. Add ice and shake. 3. Pour half the contents from shaker into a highball glass.There should be some mint, ginger and ice in the serving glass. 4. Strain the remaining contents of the shaker into the glass.Top with more ice and Fever Tree ginger beer. 5. Garnish with a sprig of mint and the remaining diced fresh ginger. 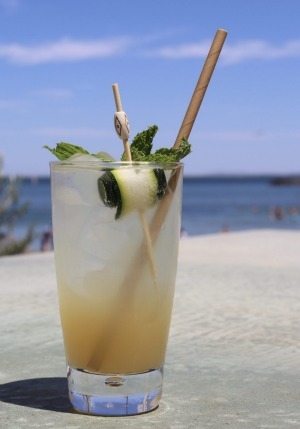 Sweet and soothing, the Chamomile Cooler from Williamstown newcomer Sebastian Beach Grill and Bar is the perfect tonic to take the edge off cravings. 1. To make the chamomile syrup, heat the chamomile flowers with water in a saucepan without boiling. Add sugar and stir until dissolved. Allow to cool, strain and bottle. 2. To make the mocktail, combine chamomile syrup with apple juice in a tumbler. Fill the tumbler with ice and top with soda water. 3. To serve, garnish with a cucumber slice and a sprig of mint.